▷ Cómo ir a Machu Picchu por tu Cuenta en 2018! 🚌 Consejos y Tips! The first thing you need to know is that you can go to Machu Picchu on your own. It is definitely possible to do so, but there may be certain risks and complications. Many people go to the archeological complex on their own, without having to hire a tour guide. However, the success of this adventure depends on various factors such as the type of travel planned, the allotted time and the adventurer’s physical condition. Additionally. it is important to consider the weather conditions at the time, among other things. If you want to have a journey full of adventure, with a specialized guide and everything prepared for you, then we recommend going on our exciting: INKA JUNGLE TRAIL. Who goes to Machu Picchu? The Rushed: they have fixed deadlines and little time available. They already have their onward flights booked, so it is unlikely that they can complete this tour. The Comfortable: they prefer to hire a tour. They are usually adults, families or couples. As this is probably the only time they will ever visit Peru, they prefer to purchase a high-quality service or tour that will allow them to fully enjoy the experience. Most of these tourists come to Peru well informed and have it in their best interests to avoid risks, delays, cancellations and other unforeseen events. The Conventionals: they may either go to Machu Picchu on their own or with a tour. These travelers make a decision according to their looser budgets and typically don’t have any time restrictions. They, therefore, have the means to purchase a tour or make their own way to the site, however, most of them simply look for the cheapest option when looking for a tourist package. The Backpackers: they have time. “Backpackers” are those who enjoy taking risks, adventure and the unpredictable. This type of traveler can definitely undertake this journey, however, will be affected by weather conditions (such as rain and snow). They are also affected by the season (high or low), the local festive calendar, blockades (such as protests) and other unforeseen events. This is one of the most important factors. Many travelers read about the experiences of other travelers who go to Machu Picchu on their own, however, should pay attention to certain details. For example, the time of year at which the respective journey was made and the date of the publication. Some travel bloggers talk about having entered Machu Picchu without paying, which is impossible to do today. Weather will affect your ability to go to Machu Picchu on your own. For example, visiting during the months of April to November will not be the same as going between December and March. If you are not used to rain, thunder, lightening, snow and hail; you may have a difficult time. The southern hemisphere’s “summer” months (December to March) are the most complicated. During this time, many agencies may cancel their services. This is primarily because excessive rain poses the risk of landslides and overflowing rivers. This is also why tours such as the classic INCA TRAIL are suspended for the month of February. The average temperature during the day (in the high season), ranges from 20ºC to 23ºC. The nights in Cusco are usually cold, especially during the dry season. In fact, from June to August, temperatures can drop -4ºC. You must additionally bear in mind that as Cusco is situated 3,400 m.a.s.l., you may suffer from a lack of oxygen. It is recommended to come during this time, as temperatures are warmer during the day (although this makes things more expensive). An especially good date to plan your visit to Peru is around June 24th, as this is when Peruvians celebrate Inti Raymi. Taking the weather into account, the best months to travel to Cusco are April, May, September, October, November and (maybe) December. January, February and March have more rain, which is why it is less favorable to come during these months. Cusco is located at 3,390 m.a.s.l. and this often causes complications for people. It is common to suffer from “altitude sickness”, whose symptoms include: dizziness, nausea, vomiting and severe headache. It is also not uncommon to feel fatigued and have respiratory problems because of the lack of oxygen. It is therefore recommended that travelers give themselves 2 days to aclimatize in Cusco or in another city with a similar altitude. This will allow you to fully enjoy tours such as the Inka Trail, the Salkantay trek or the hike to the Rainbow Mountain. It is always better to be safe than sorry. Some tours such as Inka Jungle, are at a lower altitude (2,200 m.a.s.l.). Because of this, such excursions can be completed the day after arriving in Cusco. It is an alternative method to acclimatize, before returning to the city and performing other activities. To go to Machu Picchu on your own, it is important to rest after arriving in Cusco. It is recommended to drink lots of fluids, especially those infused with coca leaves and/or muña. You can also take altitude pills to avoid or relieve symptoms related to altitude sickness. 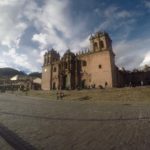 On your first day in Cusco, a good activity to acclimatize would be to go for a gentle walking tour around the historical center. Finally: How to get to Machu Picchu on your own! The first and most important thing is to buy entrance tickets to the archeological complex of Machu Picchu. If they are available, also try to purchase entrance tickets to either “Montaña Vieja” or “Huayna Picchu”, for an additional $15. You can buy them on the official website of the Ministerio de Cultura. You can also buy them in person when in Cusco. The entrance ticket to Machu Picchu costs approximately $48 (depending on conversion rates) and an additional $15 for entrance to one of the additional mountains. Once this is done, you have everything you need to go to Machu Picchu on your own, either by train, by foot or by bus. If you plan to go by train, you must purchase your train ticket in advance, especially if you plan to come between April and October. You can purchase a return ticket from Ollantaytambo to Aguas Calientes and back. Regarding the train company, you have two options: Peru Rail or Inca Rail. The cost of a train ticket with either company will cost approximately $140. Make sure to coordinate your itinerary according to when you plan to enter Machu Picchu. If your train leaves at 7 AM, you will need to wake up by 3 AM, get ready and take a taxi towards Pavitos Street. Here, you will find minibuses or vans which will take you to the town of Ollantaytambo. This trip will cost approximately $3 and lasts two hours. You will then need to walk to the railway station where you can board the train to Aguas Calientes (the town closest to Machu Picchu). 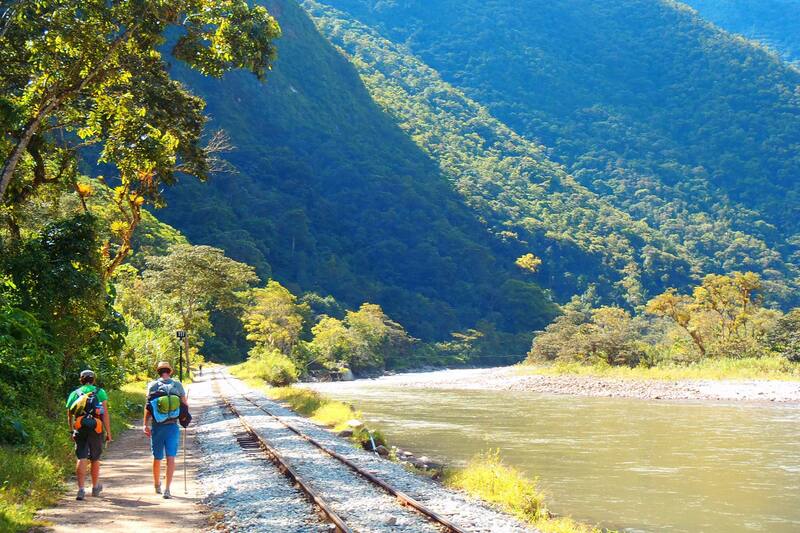 Once you are in Aguas Calientes, you will need to walk up 1,200 steps or take the bus to Machu Picchu (for $24). For those who do not want to go by train, there are other options. There are buses that depart from Cusco in the direction of Quillabamba. I recommend that you take one of the buses departing very early, around 4 or 5 AM, and get down in the town of Santa Maria. From there, you need to take a bus to Santa Teresa, at which you would arrive at 1 PM. By following this itinerary you will have the opportunity to have lunch and enjoy the thermal baths of Colcamayo ($3), situated just 10 minutes away from the town. When you return, you should take transport towards the station of Hydroelectrica. You should arrive here no later than 3 PM, as you will need to walk at least 3 hours to Aguas Calientes. This town is located at the foot of the archeological complex of Machu Picchu. 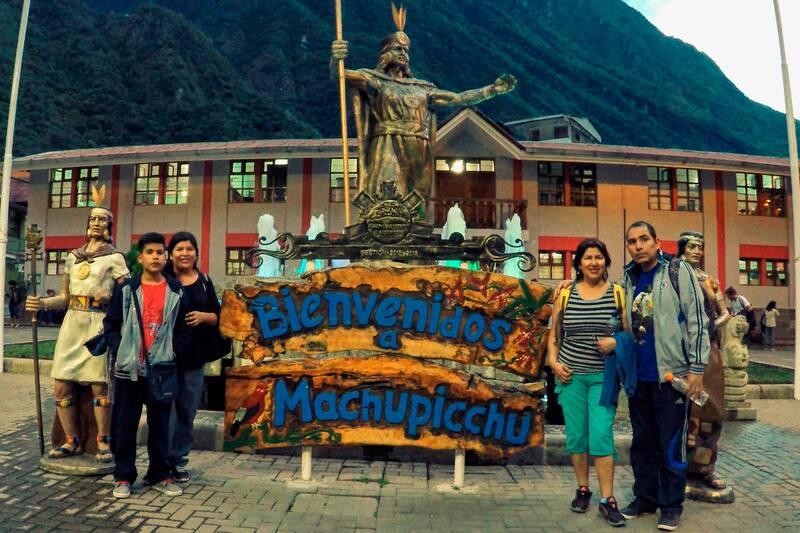 Once in Aguas Calientes, you will need to look for a hotel or hostel to spend the night. However, be aware that during the high season, it is difficult to find accommodation without prior reservation and/or at a reasonable price. The price of a basic hostel will cost you approximately $15. We also recommend that you hire a local guide (typically a tourism specialist who provide group services). This will cost you approximately $10 per person. You can also hire a private guide for approximately $50. Buy fruits, water, and anything else you need; before going to the archeological complex, as there are not many chances to do so here. Within your planned expenses, take into account that you will probably need to purchase snacks, sunblock, a rain poncho, and coins to access the toilet. For some time now, many operators from Cusco have been offering a “Machu Picchu by bus” service. This includes transport, a guide, the entrance fee, accommodation and food for approximately $100. This is a group service that leaves from Cusco very early in the morning, to reach Hydroelectrica (taking approximately 7 hours). From here, you will have to walk to Aguas Calientes, arriving in time for dinner and a night’s rest. On the following day, at 3 AM, you must be ready to walk up to Machu Picchu (as early as possible). This is because you will have to leave the archeological complex at 11 AM. Along with the group, you will then descend to Aguas Calientes and walk back to Hydroelectrica, from where you will take the bus back to Cusco. This would be the recommended route – as it is a group service that combines transportation, lodging and a guide; and is much chepaer than the previous options. In Cusco, you will find all kinds of offers to go to Machu Picchu (of varying levels of quality and cost). In fact, these will range from $100 to $3,000! We, therefore, recommend that you carefully consider a range of options before selecting your choice. Unlike in other countries, the agencies located in the main square in Cusco, are typically the cheapest and lack quality. This is because these agencies (located near Plaza de Armas) receive the most tourists and are the most competitive. So in desperation to win over customers, they will drastically lower their prices but neglect the quality of their service. On top of this, the local authorities do not do an effective job in preventing some of these agencies from offering potentially harmful services. Despite many of these services clearly being scams, most travelers do not even have the time to complain. 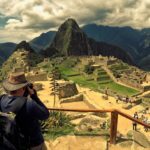 To go to Machu Picchu on your own, you need to evaluate the pros and cons of all the options described in this article. So make yourself a drink and make the right decision for YOU.